Need Help with anything? Make a GetAssist Request Now! Please enter Request. Please enter valid Request. The arctic temperatures we’ve experienced all across North America have served as a brutal eye opener to the damage mother nature can bring upon our homes. One thing is certain: the month of January taught us the importance of weather proofing our most prized possessions. Good thing, because the winter season is only halfway over and we’ll surely endure another arctic blast or two. Be sure to carefully review the following crucial tips and measures to protect your plumbing, furnace, and electric. Then, simply #MakeARequest on GetAssist to be connected with top-ranked pros near you to aid in the safeguarding process. Plumbing is a modern-day necessity that has been nearly perfected as far as design and functionality, but in reality, no system is perfect in the wake of extreme weather. Even brand new homes with top-quality pipes and plumbing are at risk of devastating damage if proper precaution isn’t taken. This is a simple way to keep water flowing, even if just at a drip, and requires nil human exertion. While a drip should suffice, consider slightly increasing the pressure of the drip for faucets with pipes closest to the exterior of the home. Additionally, it’s a good idea to keep both cold water AND warm water dripping to provide movement through all pipelines and relieve any pressure buildup, according to nola.com. While the warmth from the hot water line (provided by your water heater) should be enough to keep it from freezing, you’ll still want to give it some drip time. The pipes most at risk are those in unheated interior spaces such as basements, attics, and garages. Keeping garage doors closed is just another means of heightening insulation, especially if there are water supply lines in the garage. It’s even more vital to keep the door closed if you have an attached garage. Not only does it protect the pipes, but also protects your home from absorbing any additional cold air. Opening cabinets allows warmer air to circulate around the plumbing. It may not seem like it does much, but it absolutely increases the temperature of the air surrounding the pipes. Try this as a first step before placing space heaters, as they can unnecessarily run up your energy bill and be a fire hazard. 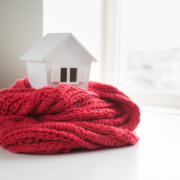 If you’re aware of an upcoming arctic blast and do not have sufficiently-insulated pipes in your home, consider getting ahead of it by having insulation applied. Poorly insulated pipes allow water to condense, which leaves pipes susceptible to standing water that can freeze in cold weather, thus increasing your chances of having a bursting disaster. Why even risk it? In preparation for the next inevitable arctic blast, go ahead and #MakeARequest and let us connect you with the best professional to tackle your insulation needs. 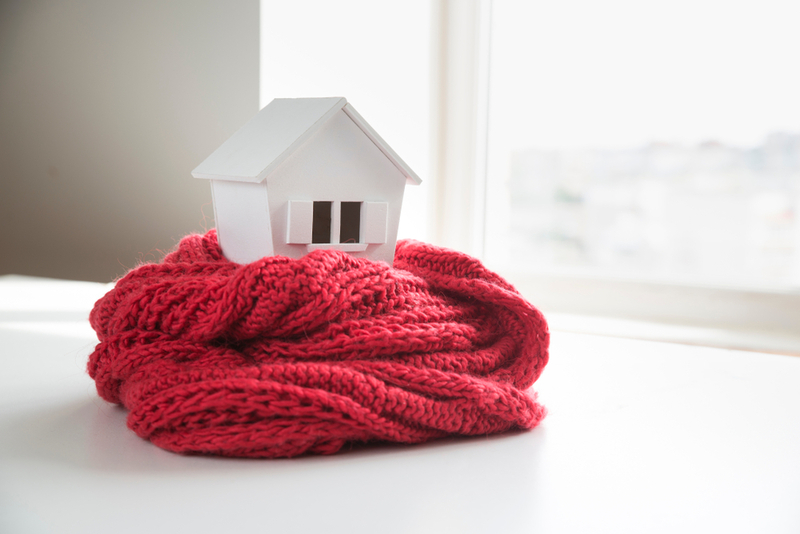 Your furnace works the hardest throughout the winter months as it is the very mechanism that heats your entire home. It also happens to be one of the most expensive items for a homeowner to replace, which is why it’s imperative to take extra care in keeping it running smoothly. Dirty furnace filters make it that much harder for your furnace to do its job. Just as humans have a more difficult time breathing while working out, the same is comparably true for your furnace. Energy is wasted and efficiency is compromised when your furnace is running but not outputting much warmth due to clouded filters. In anticipation of how hard your furnace will be working, consider stocking up on clean filters to get you through the cold months. Furnaces typically shut down if they can’t properly vent, so be sure to check vents for snow and ice build up. You’ll want to check them frequently considering how quickly drifting snow can re-cover them. Additionally, it’s important to keeps furnace and dryer vents cleared to prevent leakage of carbon monoxide. Gaps or clogs that inhibit the normal function of air intake and exhaust in PVC furnace piping may allow carbon monoxide to accumulate in the home, which is a hazard in itself. If you’re unsure of the state of your intake and exhaust vents, now is the ideal time to #MakeARequest on GetAssist to be connected with a highly rated furnace expert in your area. You don’t want to work your furnace too hard when it’s already compromised by the frigid outdoor temperatures its combatting. Maintaining a super toasty temperature would mean your furnace has to run almost constantly, thus risking it burning out. Second, you’ll collectively help conserve gas and energy. Gas is the precious resource that keeps most furnaces running, and when widespread sub-zero temperatures come knocking, the natural instinct is to crank up the heat. In doing so, gas is used at a much higher rate and puts humans at risk of running too low on the very resource that helps keep us safe in these scary, record-breaking temps. Snow buildup on your roof can create solid, heavy ice dams that threaten the integrity of your house’s structure, inhibit the ability to maintain a steady temperature, and put moisture into your home. With a heavy sheet of ice making direct contact with your home, your insulation is that much more compromised and vulnerable. According to an expert interviewed by the Journal Sentinel, homes built before 1970 are especially at risk of accumulating ice dams. Regardless of the year your house was built, though, it’s wise to keep up with clearing snow and ice from your overhangs. Electrical issues arise more often than not when weather takes an extreme turn. It’s more likely for power to go out, folks are more likely to use space heaters and heating pads (thus driving up their bill and creating a fire hazard), exterior light-switches freeze, etc. If you lose power and opt to utilize a generator, be mindful that most generators are run by gas, thus putting you at a higher risk of a fire while simultaneously expending a precious resource. Similarly, even if you do not lose power, you must still be cognizant of the dangers of heating pads, space heaters, and other supplemental sources of heat when it comes to fire safety and energy costs. Other inconveniences can occur such as light switches freezing. If frosting occurs on any of your light switch panels, do not touch them, as there could be an electrical issue with a circuit or wire. Instead, you should absolutely consult with a professional. Gain peace of mind by having your electrical system checked out asap– it’s as simple as #MakingARequest on GetAssist to be connected with your pick of trusted local electricians. Caulk any cracks or holes on the outside of your house. Run paddle ceiling fans on low in reverse (clockwise when looking up) to circulate warm air. No matter your home weather-proofing needs, the GetAssist team is excited to help connect you with a variety of top-rated, local professionals (of your choosing) that are best suited to tackle the job.